There are often discounts available to senior citizen and little children. Discover by contacting your nearest pool in Wisconsin. We currently have the following Heated Pools in Wisconsin, but we are usually grateful for any corrections or contributions. Get in touch via our contact form. Please, use the make contact with info provided at every single pool profile. Most of the Swimming Pools deliver both open lanes for independent swimming and also guided activities like water aerobics or aquabike. Please have a look to the Heated Pools in Wisconsin swimmers like you've got reported. Is your pool not listed? Contact us to ADD IT. It is free! The most beneficial pools to swim are certainly indoor olympic pools. Swimming is really a terrific concept to keep your body active in the course of your visit to Kenosha (Wisconsin), or even if you are a local. Swimia helps you to discover your closest Swimming Pool in Kenosha. Without a shadow of a doubt, swimming in Appleton may be the most beneficial method to unwind right after function. 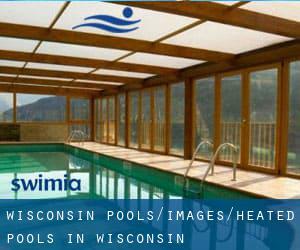 Take a couple of minutes to browse Swimia's catalog to find a Swimming Pool in Appleton. Holding an estimated population of 78.860, Racine is among the most important cities in Wisconsin. Check all the Swimming Pool in Racine and its surrounding region. It's difficult to visit Wisconsin without having dropping by Green Bay (with 104.057 residents). 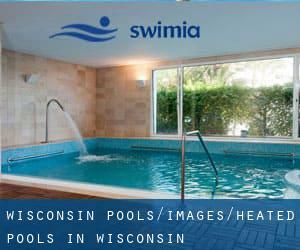 Currently Swimia is showing you all the Swimming Pool in Green Bay and also the closest pools situated in its vicinity. Let us tell you a secret to switch off whilst you're in Madison: just select a Pool in Madison and plunge into the water! There's no alot more effective method. Updated on 2019 312 W Panther Drive , Ellsworth , WI , USA (Postal Code: 54014). Among all the activities provided by the center, in case you are considering swimming you will appreciate 25 meters, Indoor/Outdoor. Just in case you would like to get in touch with this Swimming Pool prior to dropping by, we only know the phone number. Updated on 2019 507 East 1st Avenue , Stanley , WI , USA (Postal Code: 54768). Swimmers like you reported 25 meters x 70 feet, 6 lanes, 3.5 feet - 12.5 feet depth, Indoors. Unfortunately we do not have the e-mail address of this Swimming Pool, but we can provide you with the phone number. Updated on 2019 711 Cottage Grove Rd. , Madison , WI , USA (Postal Code: 53716). Among all of the activities offered by the center, if you are interested in swimming you will take pleasure in 25 yards, 8 lanes, Indoors. Just in case you would like to contact this Pool before dropping by, we only know the phone number. Updated on 2019 410 West McMillan Street , Marshfield , WI , USA (Postal Code: 54449). Swimmers like you reported 25 yards, 6 lanes, Indoors. Unfortunately we do not have the e-mail address of this Swimming Pool, but we can give you the phone number. Updated on 2019 1237 N. Van Buren , Milwaukee , WI , USA (Postal Code: 53217). Among all the activities provided by the center, if you are interested in swimming you will take pleasure in 20 yards, Indoors. Just in case you would like to get in touch with this Swimming Pool prior to dropping by, we only know the phone number. Updated on 2019 S2845 White Eagle Road , Wisconsin Dells , WI , USA (Postal Code: 53913). Swimmers like you reported 25 yards, 6 lanes, 3.5 feet - 9.5 feet depth, Indoors. Unfortunately we do not have the e-mail address of this Pool, but we can give you the phone number. Updated on 2019 812 Broughton Dr. , Sheboygan , WI , USA (Postal Code: 53081). Among all of the activities offered by the center, if you're thinking about swimming you will enjoy 25 meters, 6 lanes, Indoors. Just in case you need to contact this Pool before dropping by, we only know the phone number. Updated on 2019 16900 W. Gebhardt Rd. , Brookfield , WI , USA (Postal Code: 53005). Among all the activities offered by the center, if you are interested in swimming you can expect to appreciate 25 yards, 2-3 lanes, Indoors. Just in case you need to make contact with this Swimming Pool before dropping by, we only know the phone number. Updated on 2019 10 Circle Drive , Seymour , WI , USA (Postal Code: 54165). Swimmers like you reported 25 yards, 6 lanes, Indoors. Unfortunately we do not have the e-mail address of this Pool, but we can give you the phone number. Updated on 2019 9 N. 21st St. , Superior , WI , USA (Postal Code: 54880). Among all the activities offered by the center, if you're considering swimming you'll appreciate 25 yards, 4 lanes, Indoors. Just in case you would like to make contact with this Swimming Pool before dropping by, we only know the phone number. Updated on 2019 1740 South Huron Road , Green Bay , WI , USA (Postal Code: 54311). Swimmers like you reported 25 yards, 4 lanes, 3.5f - 5 feet depth, Indoors. Unfortunately we do not have the email address of this Swimming Pool, but we can provide you with the phone number. Updated on 2019 211 Wisconsin River Dr. , Port Edwards , WI , USA (Postal Code: 54469). Among all the activities offered by the center, in case you are considering swimming you might appreciate 25 yards, 4 lanes, Indoors. Just in case you would like to contact this Swimming Pool before dropping by, we only know the phone number.